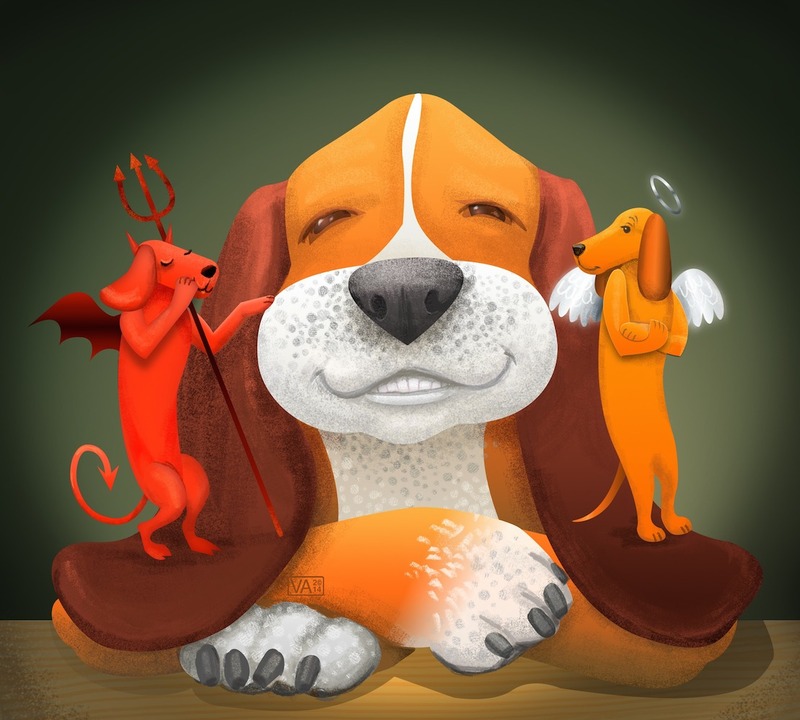 We old hound dogs are not big on giving people advice, matter of fact, we’re not big on giving people anything, except maybe a sound sniff and sometimes a sloppy slurp. Howsomever, if anyone ever needed some good advice, it would be that Secretary Clinton lady. So, here ya go; Be kind to that Mr. Trump person when you meet him in the “Debate” tomorrow night. You see, that old feller can’t help himself because he suffers from what my old pappy and I call, EPPS, Excessive Potty Praise Syndrome. Unfortunately, it often happens that Mums, and occasionally Dads, frantically wishing to leave that unpleasant diaper changing chore behind, tend to over-praise every tiny success their child has while in the potty training process. This excessive praising can, and often does, lead to the development of a horribly out-sized ego. For some odd reason, this problem most often occurs in male children, though there are examples of girls being affected as well, some notable recent cases would include that former Governor of Alaska and V.P. candidate, Sarah Palin, and Elizabeth Holmes, the young gal who suckered the State of Arizona into passing legislation allowing her company, Theranos, to sell their blood testing device, which didn’t work, without a Doctor’s referral. One can understand the problems, such as becoming a big, egotistical bully, that EPPS can cause, considering that these children actually grow up believing having a good BM to be a major achievement (of course, most people don’t begin this type thinking until reaching one of the so-called geriatric stages of life). During his 30 years in the Big Bad Corporate world, my dear old pappy was exposed to a whole lot of over-sized egos. These narcissistic rascals can be found in nearly every boardroom in our good old U.S.ofA., and running many types of large Amurican enterprises. Old pap is actually convinced that these super-sized egos were probably the main cause of the demise of the once dominant Amurican industrial machine. Now, to Mrs. Clinton’s advice: Remember that your debating adversary is the helpless victim of EPPS, and as such he possesses one really big, bad, and fragile ego. The only nice thing about a bully is the fact that upon being forcefully confronted, his or her courage will wither away. Sixteen brave Republicrats attempted to deflate the chubby old fool, unsuccessfully; so, it’s up to you, girl! Hence, while being expressly kind to the old boy, you must challenge his cherished ideas of himself. For instance, he is very proud of his business “accomplishments,” and they, along with his “Reality” TV show, are his only claim to fame. Just constantly remind him that these “successes” exist only in his own mind; most of his business ventures have ended badly, especially for any partners he may have had. You can refer to his Trump Castle, Trump Plaza, and Trump Taj Mahal casinos, as well as his Trump Shuttle, Trump University, and the thousands of Floridians who lost their deposits on condos in what they thought were Trump Properties. When the condo deals went bust, he referred the disgruntled investors to the “owners who are not me.” “It just had my name on it!” No wonder his tax returns are too complicated for us to understand. Now, the good old Donald has so far been successful in diverting discussions regarding his failures, while downplaying the amount of help his old Daddy lent in achieving his few actual successes, so you’ll need to press the point to force him to admit to a few of the baddies! You might also emphasize your own detailed plans for enhancing the economy, fighting terrorism, and maintaining health and other services for the elderly and less fortunate members of our society. His “honor’s” plans tend to be a tad short of substance (and long on lies & cow manure). The Donald talks a great game; “Our country is broken…I am the only one who can fix it!” His EPPS EGO!!! The dear lad also seems to be enamored of his physical “attractiveness.” This impression, also, is a myth. So, his decidedly paunchy bod and his sickly color, together with those tiny hands would seem to be choice areas to explore. Finally, don’t worry about those “damned” emails! They are mainly an issue in the convoluted “news” cycle of Fox and some of the other cable outfits. You’ve admitted the private server was a mistake. Also, there has been no evidence that any real damage has been done to any of our operations or strategic positions around the world by the few secrets which were included within the emails. Well, Madame Secretary, we hope our suggestions are helpful. PS: Don’t forget to be nice to the old swindler. Note to our knowledgeable and astute readers: Since we have no idea whether Secretary Clinton regularly reads my blog, would you please forward this Blog #87 to her or to one of her pals who might share it with her (before the “debate,” naturally) Many Thanks!! Next Blog #87: A Wee Bit of Advice cont’d. EPPS – Ha! I think you’ve hit the diagnosis on the nose! Thanks, Tim, but careful on the “nose,” please. That’s my best attribute! Buster.